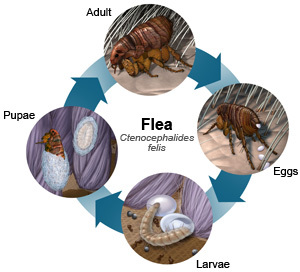 Fleas and ticks are not just annoying. They carry potentially deadly diseases for both you and your pet. We have many options when is comes to keeping these pests away. When choosing us for your pet’s medications, you will receive a quality product and same-day convenience. If you have any problems you can be assured that we address the situation, something not always true when purchasing from a local or online pharmacy. Our large array of medications are competitively priced as well. 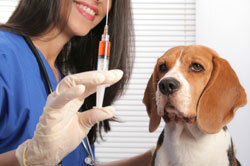 Tranquilization or sedation is used to calm an animal under various conditions. The animal remains awake or may ‘sleep’ but is easily aroused when stimulated. Pet owners frequently request sedation for their animals during travel, thunderstorms, fireworks, etc. 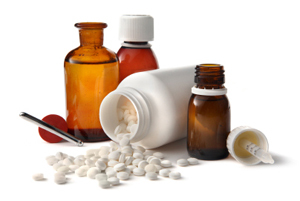 We have both homeopathic/natural products that are quite effective and more potent prescription medications. Our goal is not to “knock out” your pet, but to use just the right amount of medication to keep your pet calm and happy. Sedation and tranquilization are not without risk and each animal should be assessed prior to dispensing these medicines. 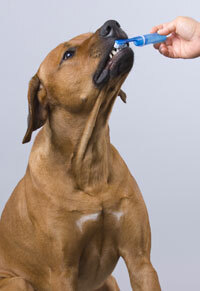 There are other reasons why you should pay close attention to your pet’s dental health. Dental disease can affect other organs in the body: bacteria in the mouth can get into the blood stream and may cause serious kidney infections, liver disease, lung disease, and heart valve disease. Oral disease can also indicate that another disease process is occurring elsewhere in a pet’s body. 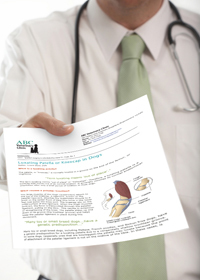 A physical exam combined with appropriate laboratory work can determine if this is the case. At Blue Ridge Veterinary Services, we are particularly vigilant about monitoring for and treating dental disease. We have seen many pet’s lives literally changed by proper dental care. Our clients will call us with comments like, “My dog is acting like a puppy again!” If we have recommended dental care for your pet, but you have concerns about the procedure, anesthesia, recovery time or ability to eat if teeth are lost, call one of our staff members. 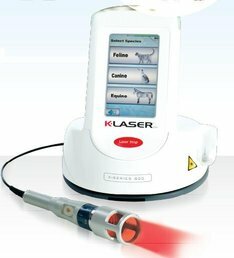 We can discuss the options you have that will address your concerns, such as alternative anesthesia or speeding recovery time with laser therapy.Also see our articles on Dental Disease in our pet care section. Giant breeds such as Great Danes, Irish wolfhounds, and giant schnauzers have unique health concerns not shared by all dogs. First, are their nutritional requirements. Very few commercial puppy foods offer the ideal mix of calcium, phosphorus and energy, and at levels that these breeds need. We can provide you with feeding recommendations that will encourage your dog’s maximum growth potential without causing developmental problems. 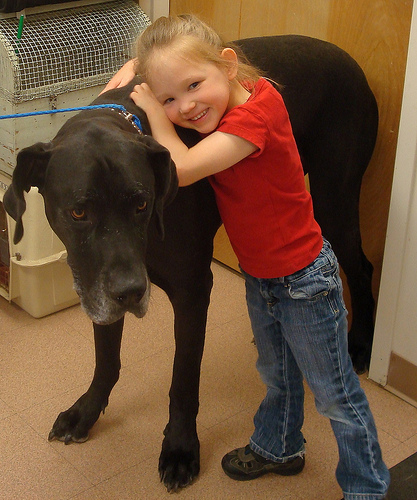 For added convenience, we also stock veterinary-approved diets for giant breeds. These same breeds can also be prone to a condition called Gastric Dilitation-Volvulus or “Bloat”. We can perform a simple procedure, known as a gastropexy, to prevent this deadly condition. Prevention of orthopedic problems will help to keep you giant breed dog part of you family as long as possible. Weight management, dietary intervention, proper joint supplements and early diagnosis all play a role in prevention of debilitating orthopedic problems. Finally, behavioral problems can be much more serious in a dog that weighs as much as you do. We can assist with recommendations for training and training aids such as “Halti head collars“. Please don’t hesitate to contact us if you have any concerns regarding your dog’s nutrition or if you would like to discuss any of these topics with us.